Are you a blogging guru? Want to send more quality leads over to your WordPress blog? Promote your WordPress blog every time you send an email! 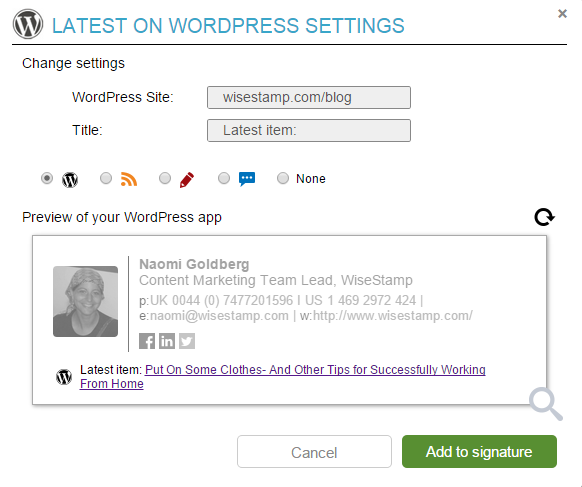 Now you can add your WordPress Blog to your WiseStamp email signature with one click! WordPress is the most common blogging platform, with over 74,652,825 active WordPress blogs out there. Now you can promote your WordPress blog whenever you send an email, via your email signature easily and professionally. How do I add my WordPress Blog to my Email Signature? Click on Latest on WordPress. Write in your WordPress site link, and your latest title should come up. You can change the text in Title if you want. Create your free WiseStamp signature today, and growth-hack your email signature! 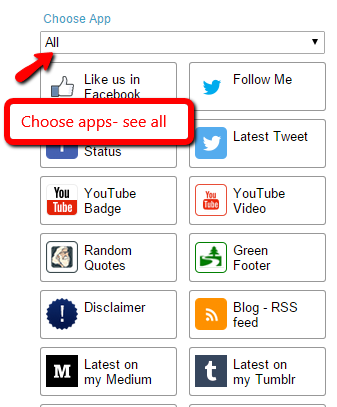 Use another blogging platform to share your content with the world? Your email signature is also the perfect place to promote your Tumblr or Medium blog too. Create yours today!